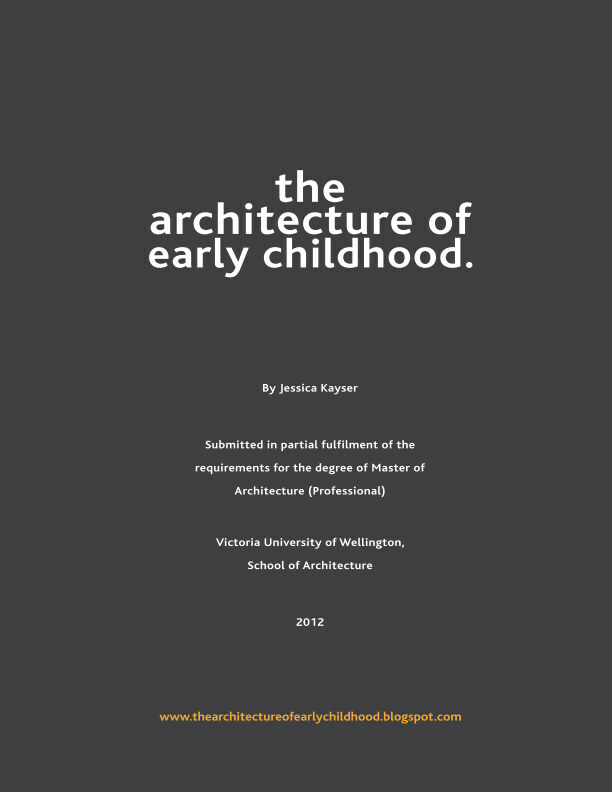 It's not only schools that are slowly adopting the early childhood idea of zones catering for a range of types of work, play and leisure (with "break-out" areas, flexible and individual learning zones). Now work places are beginning to see the benefit in offering employees a variety of type of space for increased productivity and employee satisfaction. 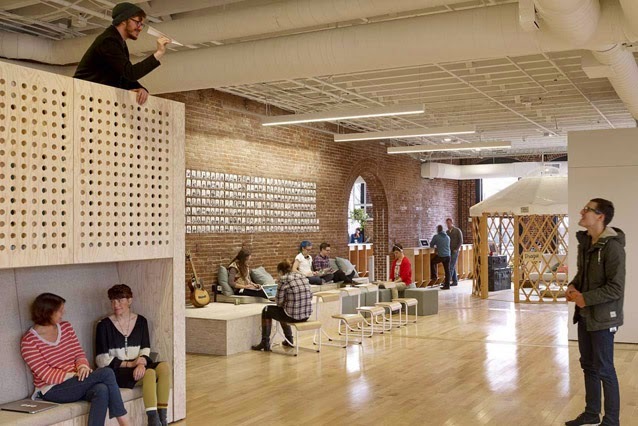 An example of such a work place, which is in fact reminiscent of a number of contemporary EC designs where spaces are placed within spaces (here, here and here), is Airbnb's new "CX" Customer Experience office in Portland, USA. Designed in-house by trained architects Aaron Harvey and Rachael Yu, the concept was developed with extensive research into the working habits and requirements of CX employees. 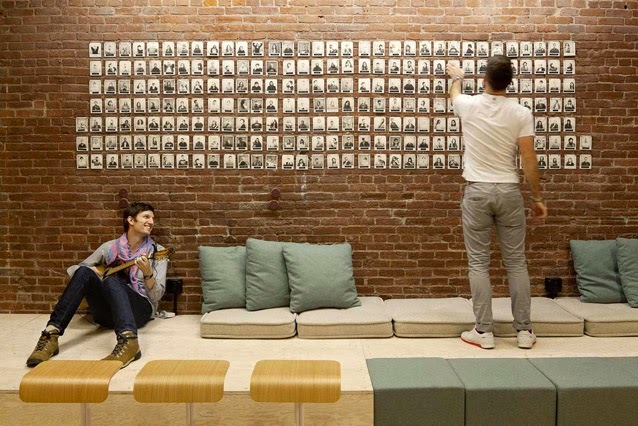 The designers collaborated with the (some 200) Airbnb employees, and found their requirements to be that of which would allow them to work in array of styles - to move around and make use of an array of spaces and choose the environment that suits their needs. Complementing their flexible work practices, the office design provides 'landing/standing' spaces for impromptu team meetings. There are lounges, shared tables, private nooks and a mezzanine called "the bluff", which is an elevated work space made from plywood and lined with cushions, where you can survey the office space below. This idea of flexibility and that of choice (of how to work, and how to interact with others) works to create an enjoyable environment in where let's face it, where we all spend most of our days.